When I was a young kid, I distinctly remember spending afternoons reading pop-up story books with my Nana. Fast forward to present time, it is amazing that I still find myself entertained by pop-up story books. This time, however, I am reading them to my nieces and nephews on my iPad. I’m talking about DK’s read along stories app called Peekaboo! Woof! Wook! and Sophie La Giraffe: Colours. Recently launched at the App store, these apps offer many neat features that makes learning more interesting than boring. Made for kids aged 0-3, Sophie La Giraffe: Colours follows the success of Sophie’s Busy Day and Sophie Peekaboo! Young. The colourful characters featured in this app such as Margot the Turtle and Josephine the Mouse are very engaging for the tots. The design of the game is equally colourful – the objects are easily recognizable and cutely shaded. Teaching toddlers about colours is the first step towards a long journey of learning for any person. Along with shapes and letters, teaching young kids about colours aren’t limited to flash cards, books, and chalk boards anymore. In this day and age of new technology, we are presented with limitless options to make our children’s learning experience as optimal as possible. 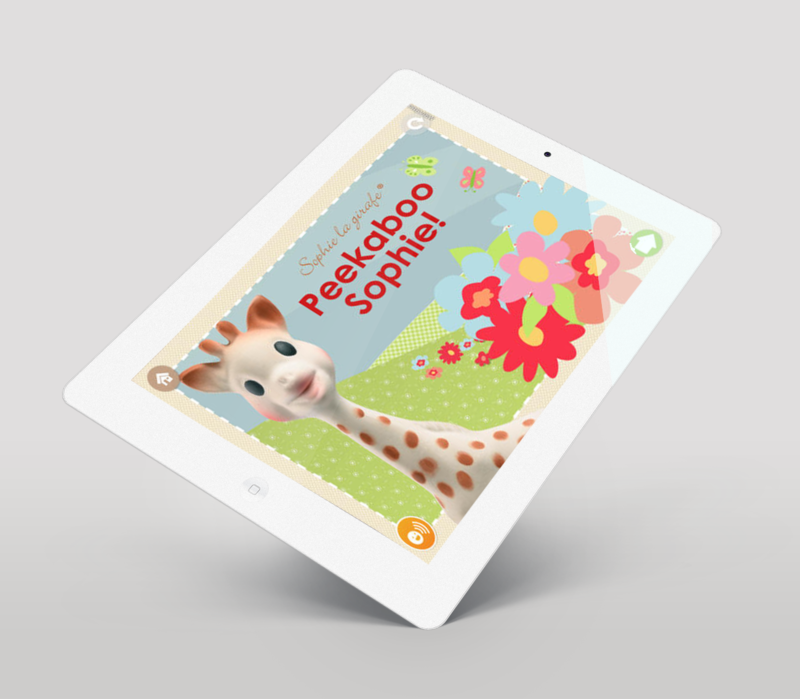 Sophie La Giraffe: Colours is a prime example of how technology does just that. Each milestone of any kid should be celebrated. That is why my favourite feature of Sophie La Giraffe: Colours is the Family Connect. This neat little functionality allows you to share your child’s development with contacts like family members and friends. Moreover, you can personalise each milestone celebration with photographs of your kids. My two year old niece Samantha just learned the colours red and yellow, and of course the entire household was celebrating like she just graduated college. All it takes is a single tap, a picture, and a message saying “Sammie learned red and yellow. Cake party!” for everyone to come over. Of course, while everyone knows that everything is going mobile and digital, some still remain hazy towards the use of iPads for teaching young kids. Do not fret, these apps from DK are definitely great teaching tools. There is no need to be apprehensive; there has been lots of researches made that point out to iPads being beneficial to young kids in terms of learning and memorising. One last thing, both of these apps are available at the app store until the 27th of November, entirely for free! Download these now and have fun teaching and listening to your child giggle with Sophie. In no time, they will be recognised every colour like a pro.